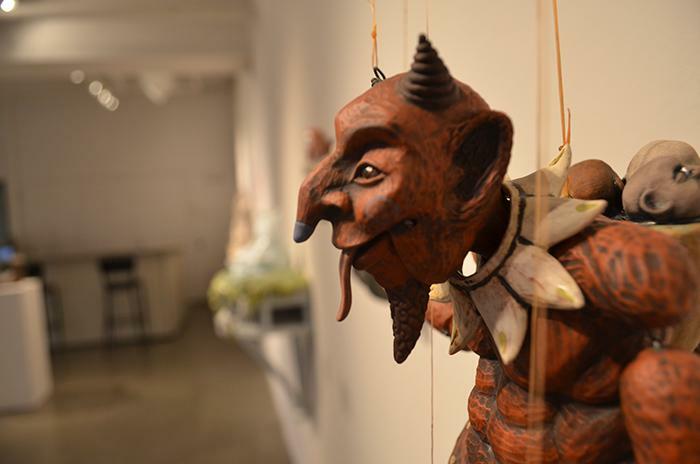 Reception: Friday, November 4, 2016, 5:00 -7:00 p.m.
Artists’ Talk Friday, November 4, at 6:00 p.m. 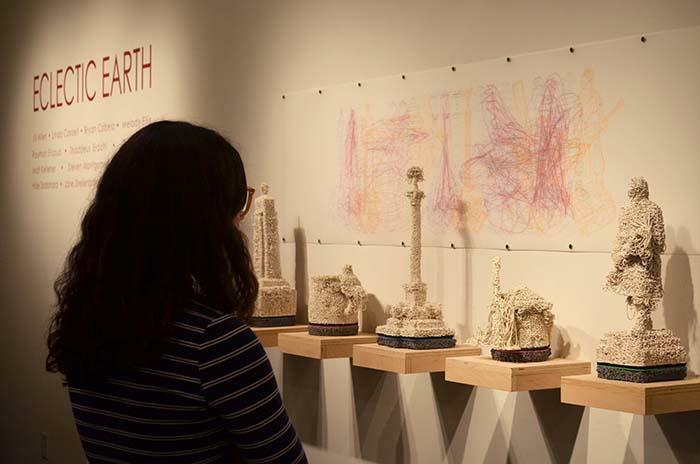 The Schick Gallery presents Eclectic Earth, an exhibition of sculptural and functional ceramic works by thirteen contemporary artists. 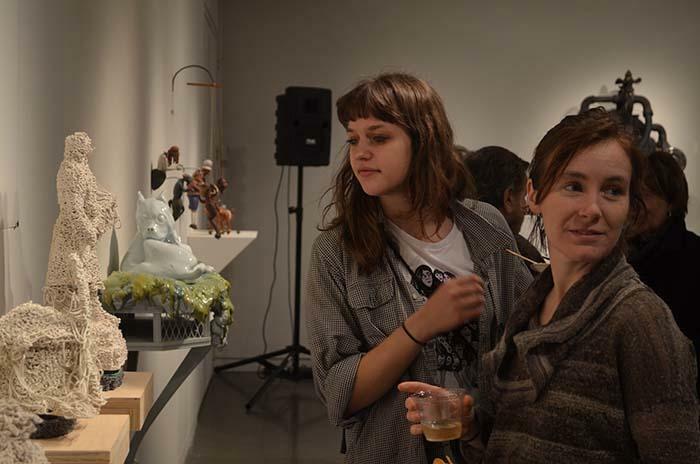 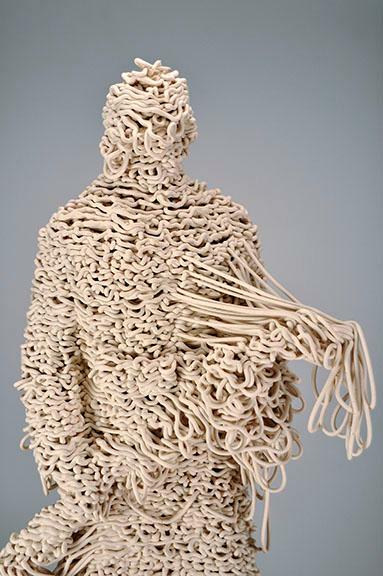 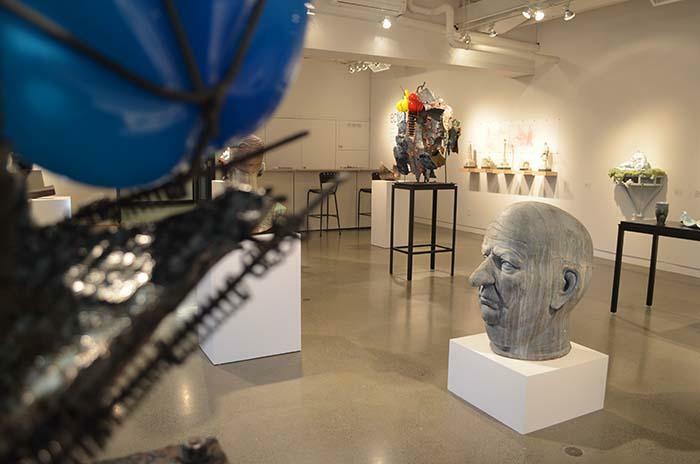 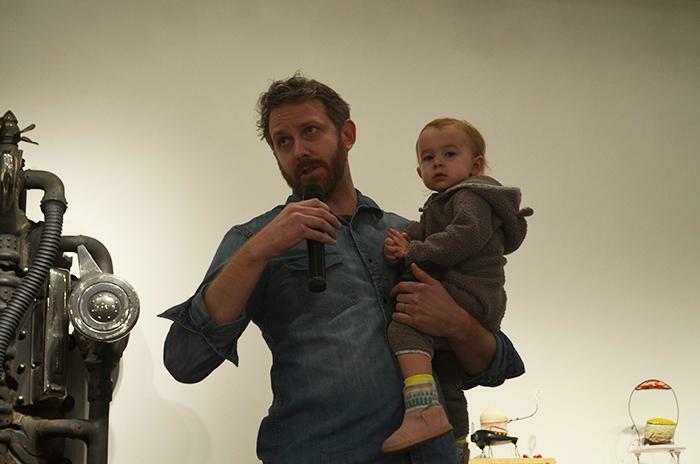 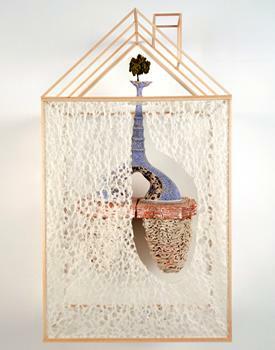 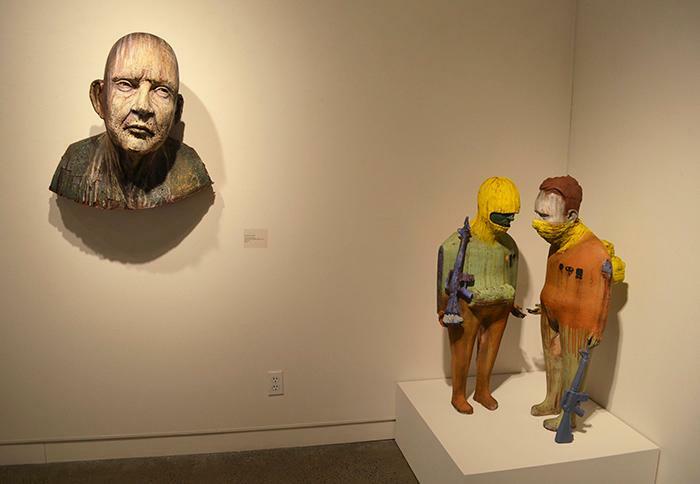 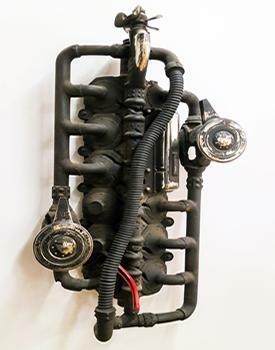 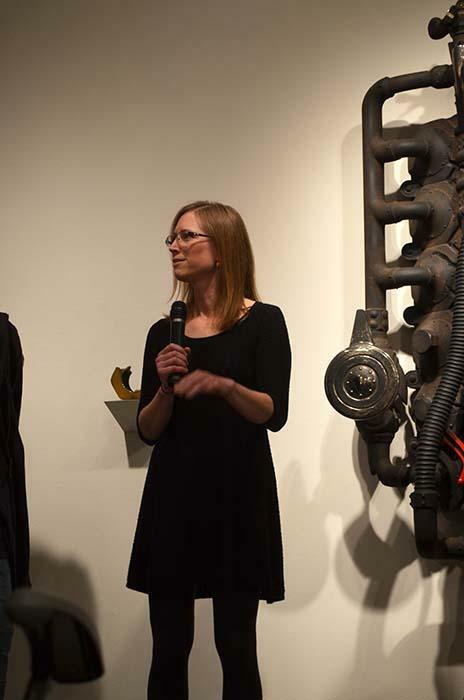 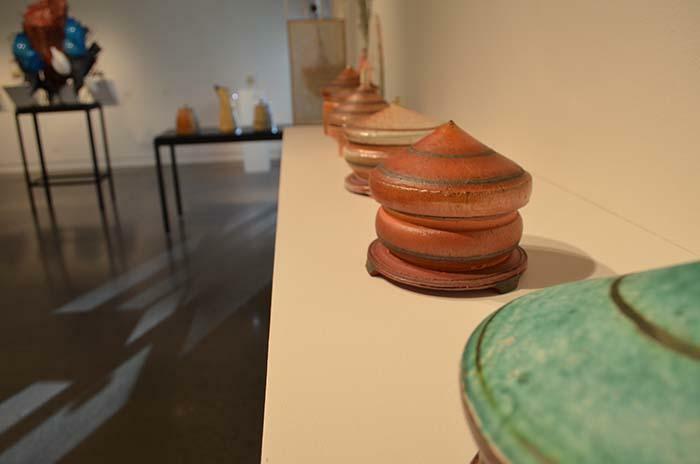 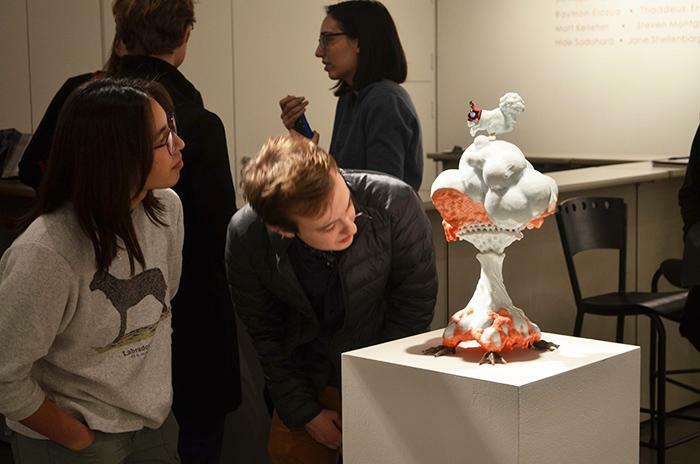 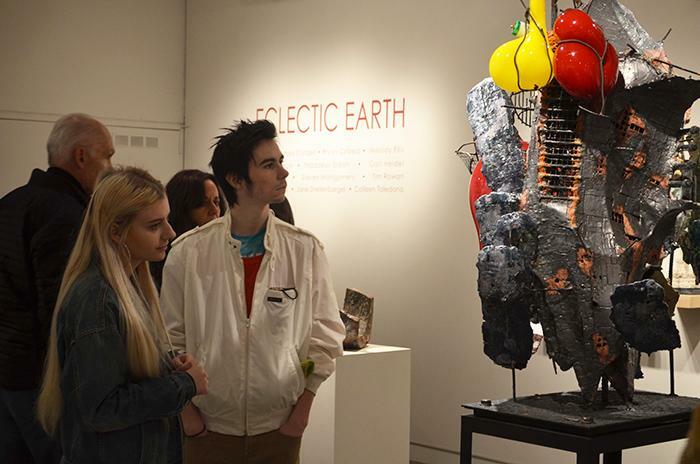 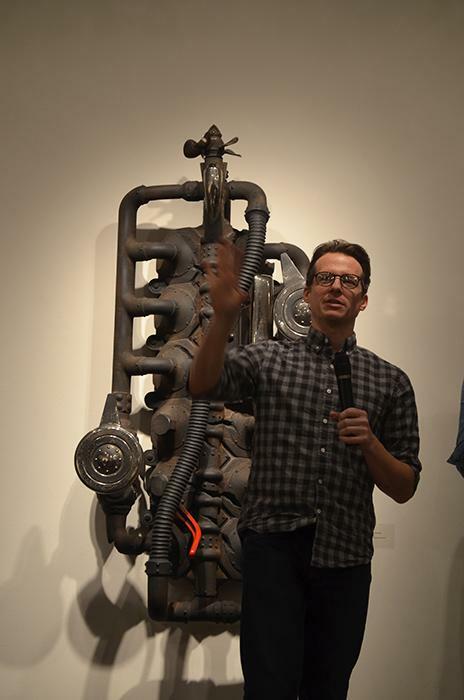 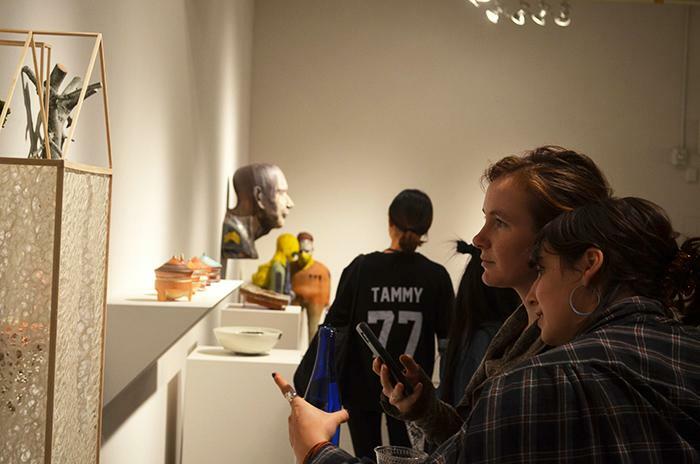 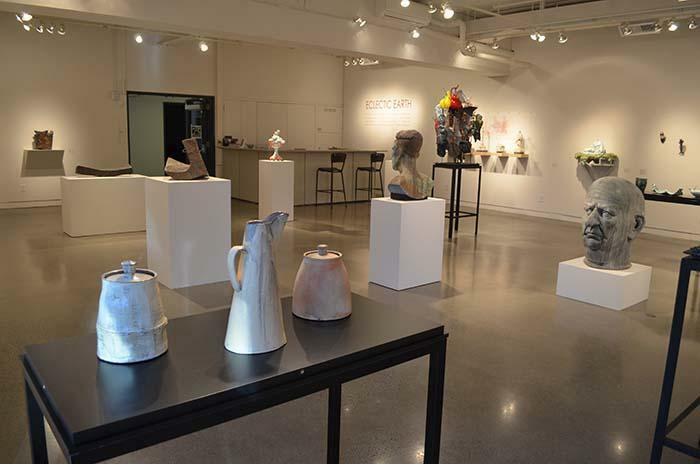 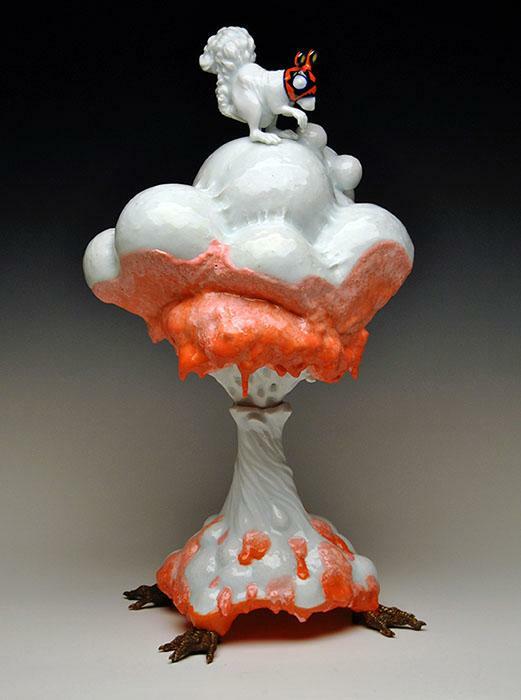 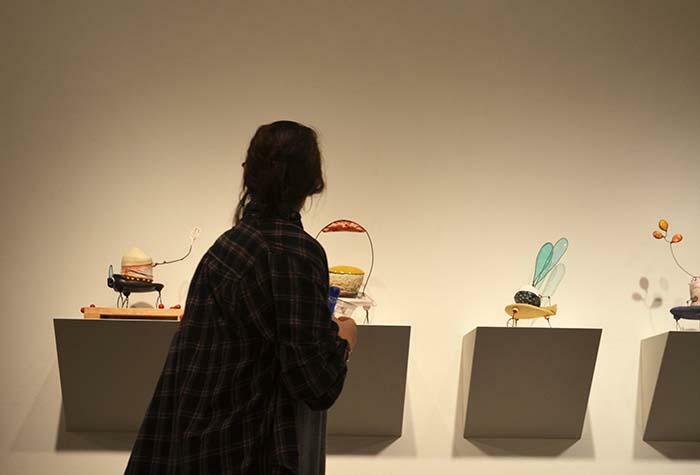 The exhibition is curated by Skidmore Associate Professor of Ceramics Matthew Wilt, with an eye to exposing students to a wide range of techniques, concepts, and aesthetic visions. 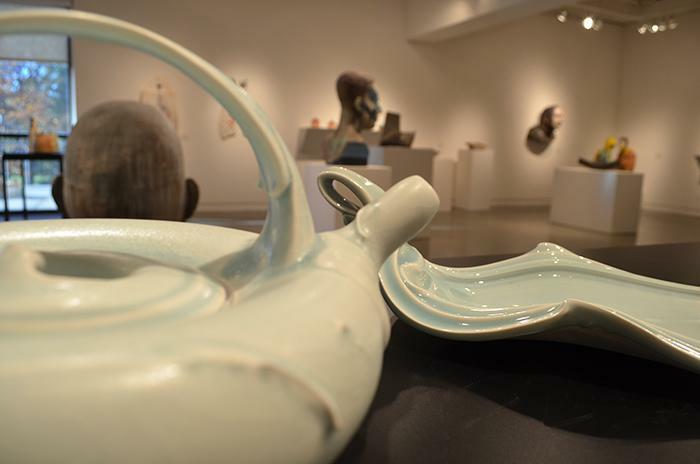 From practical to fantastic, from abstract to figurative, the humble, earthen material of clay has rarely been seen in such eclectic variation in a 1300 square foot gallery. 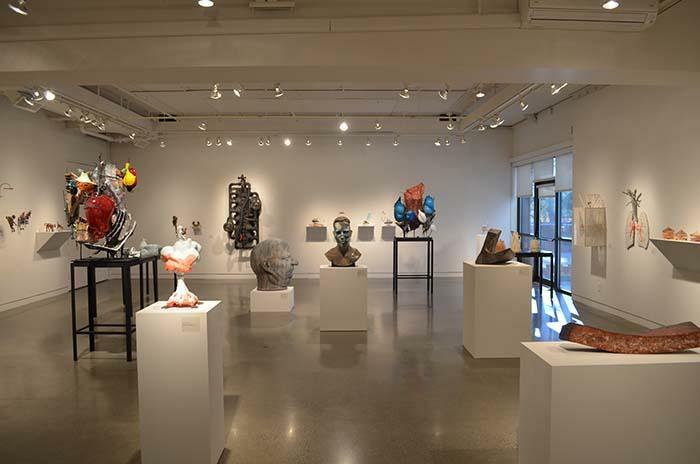 Eclectic Earth artists: Jill Allen, Linda Cordell, Bryan Czibesz, Melody Ellis, Raymon Elozua, Thaddeus Erdahl, Gail Heidel, Matt Kelleher, Steven Montgomery, Tim Rowan, Hide Sadohara, Jane Shellenbarger, and Colleen Toledano. 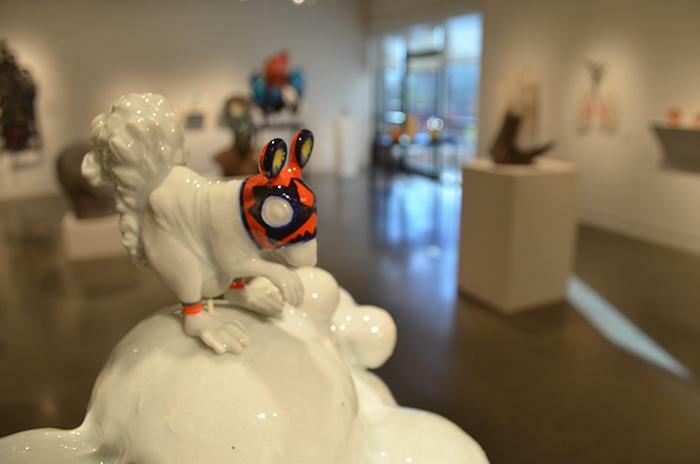 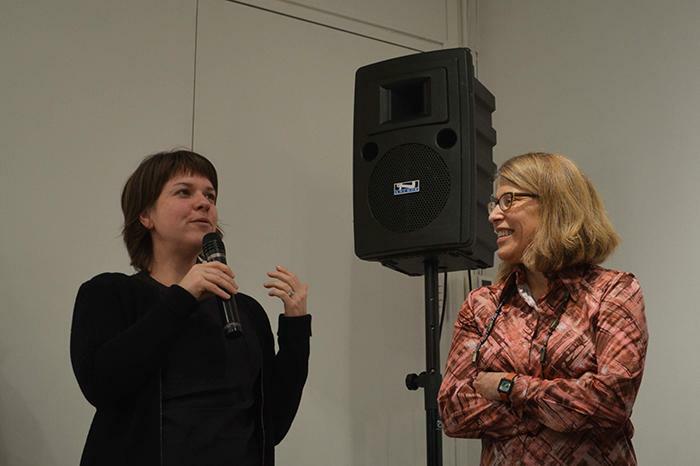 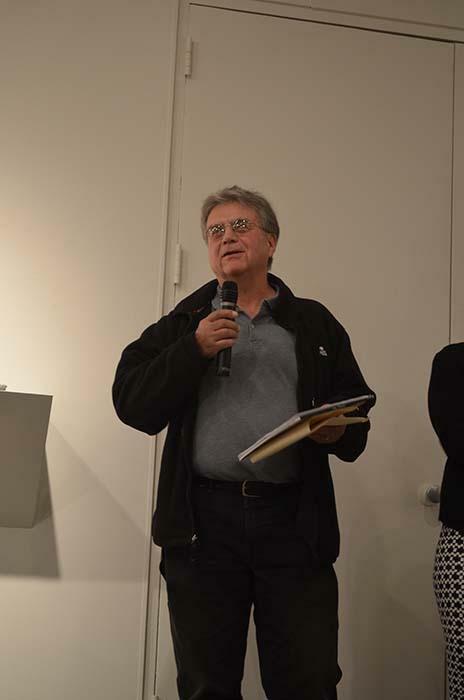 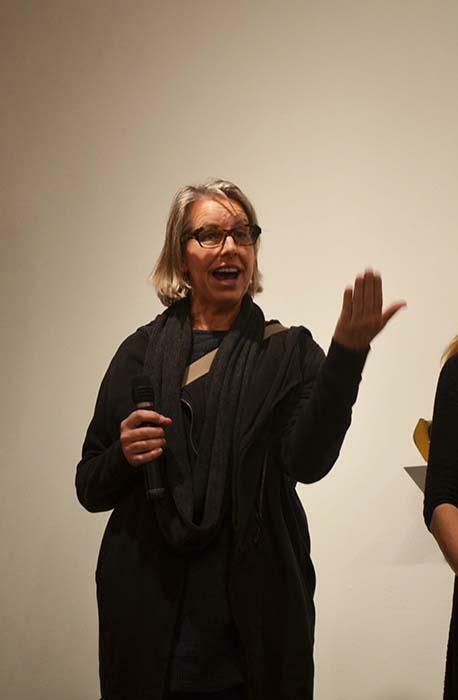 All Schick Gallery events are free and open to the public. 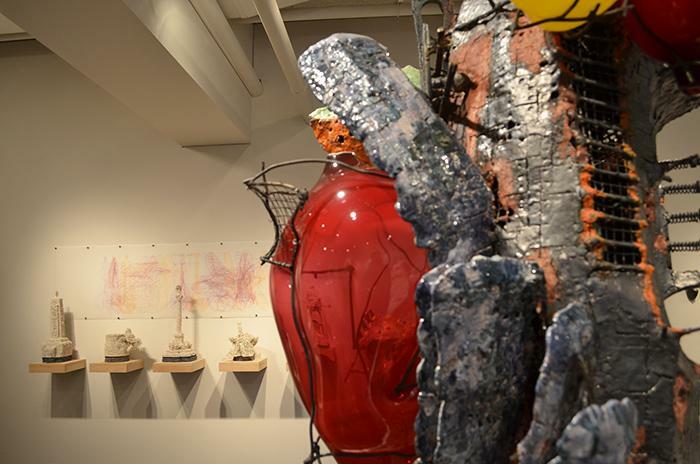 Gallery Hours: Monday–Thursday 10 a.m.–6 p.m.; Friday 10 a.m.–4 p.m.; Saturday–Sunday noon–4 p.m.